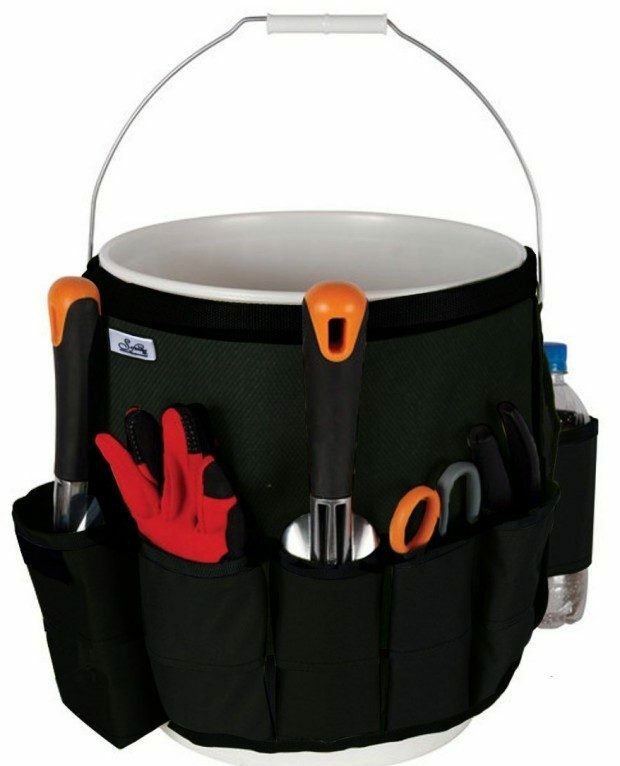 Bucket Garden Tool Organizer Only $6.99! You are here: Home / Great Deals / Amazon Deals / Bucket Garden Tool Organizer Only $6.99! It’s hard for gardening to be peaceful when your garden tools are in a state of chaos! Get the Bucket Garden Tool Organizer for Only $6.99! This 8 pocket organizer fits on most 5 gallon buckets and hold tools, gloves, water bottle and more!